"The first symposium was organized in 2014, with the participation of students who participated in the Science Without Borders program. Although the program has ended, our symposium has continued", said Gustavo Pereira Fraga, coordinator of SMS's International Office. "It is an opportunity for everyone to learn more about the possibilities of exchange. We want the faculty to be a facilitator in this process", said Luiz Carlos Zeferino, dean of SMS. 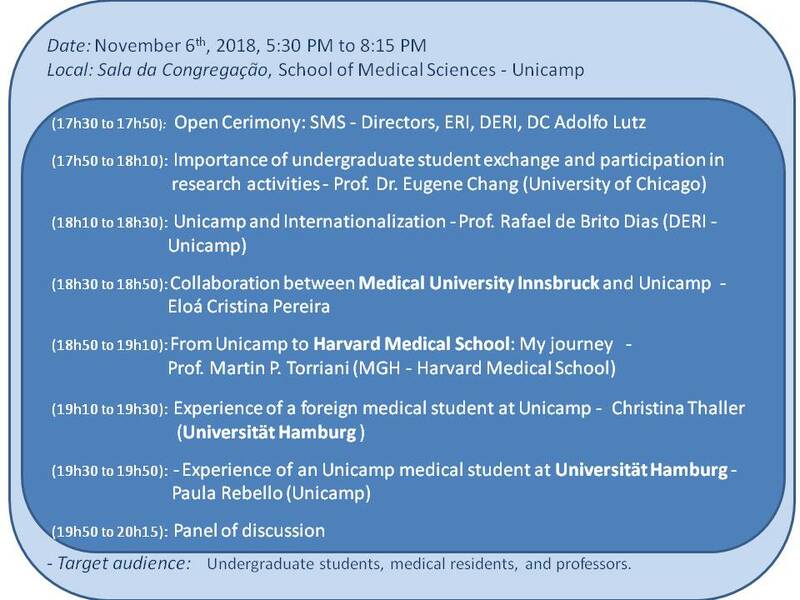 The event was supported by the Executive Board of International Relations (DERI) of Unicamp and the Scientific Directorate Adolfo Lutz of SMS, receiving a total of 52 participants.